Dental student Sarah Armstrong is part of the first cohort of the five-year BDS (Hons) Dental Surgery programme at Peninsula Dental School. With a passion for sport and nutrition, University of Plymouth dental student Sarah Armstrong came up with a plan to set up a fitness business. She was even offered a place on BBC show, The Apprentice, but as scheduling clashed with her studies, she declined. 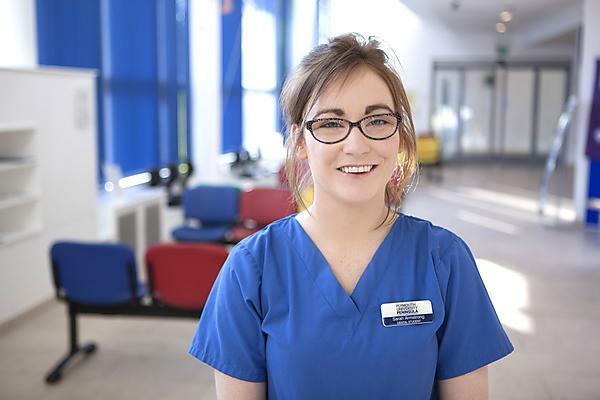 Originally from County Armagh, Ireland, Sarah graduates from the University of Plymouth as part of the first cohort of the five-year BDS (Hons) Dental Surgery programme at the University’s Peninsula Dental School. With such a challenging course I made a commitment to life on campus to ensure a good work leisure balance, and throughout my time at university, I became heavily involved within the Netball Club as first team captain, coach and named sportswoman of the year. Outside of uni, I balanced life in England, including part-time jobs, with returning home to represent Netball Ireland – the Irish national netball team – and/or Crossmaglen Rangers in County Armagh at football. I’ve always been sporty and I’m very into fitness and nutrition. In my third year of study I began thinking about my passion and love of sport – how could I involve this more in my life? During my third year, I completed qualifications within the fitness and nutrition industry and developed a business plan for Strong Fitness – a health, fitness and wellness service in County Armagh. I applied for The Apprentice, passed the interviews and was offered the show but an intense learning and placement schedule meant I couldn’t move to do the filming for 12 weeks. Although I was gutted, I was determined to balance my love of sport with my passion for dentistry, and looking back, the show application was kind of where it all started. Granted what set out to be a summer job soon grew much bigger than I could ever have imagined. Suddenly September had arrived and fourth year was calling. So staff were hired for Strong Fitness and off I went back to Plymouth trying to manage everything from afar. By December of the same year, I started providing similar services in Cornwall and Plymouth whilst the brand at home grew bigger by the day. Strong Fitness has just celebrated its second successful year with new premises, a weekly timetable of classes and over fifty members to date. As well as running my own business and competing in sport, I’m so pleased with my time as a student. I have nothing but high praise for how the BDS course was developed, delivered and executed. I have never felt so prepared to enter the working world thanks to the staff and colleagues within the University’s Faculty of Medicine and Dentistry. I enjoyed the early clinical exposure and spiral curriculum – this ensured a solid foundation of knowledge was gained whilst our clinical skills had time to grow stronger and stronger. So what comes next for Sarah? Having graduated I will be starting work from September as a foundation dentist in Kilkeel, Northern Ireland. I am excited at this prospect and look forward to meeting a new team to work alongside. In terms of my future in the dental world, I hope it will involve paediatrics and holistic healthcare. I think my ultimate challenge will be how to juggle these professions and perhaps marry them together in some way. I have come to realise that over the course of University life you should always follow your passions – and I’m proud that this is what I’m continuing to do.